Random Hacks of Kindness (RHoK) has been created by leading technology companies to match top-flight developers with NGOs. The aim is to kick-start the development of software designed to make the world a better place. Since its launch eight years ago, RHoK has grown into a movement that is unique in its reach, resources, scope and scale of ambition. 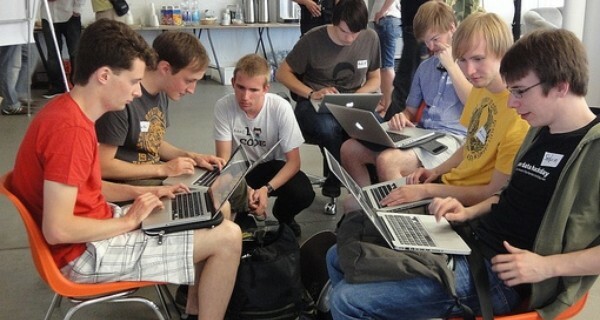 To date, 6,000 people have participated in the global hackathon events that the group holds bi-annually. These take place everywhere from Sydney and Jakarta, to Nairobi and Sao Paolo, with keynotes given by Ban Ki Moon, and opening ceremonies at the US State Department. While the rapid prototyping of genuinely useful apps and software for social impact is important, the group, whose core partners are Google, Microsoft, Nasa, Yahoo!, HP and the World Bank, underscores that its real legacy is in forging a new, global community. They are bringing together technologists who see how they can deploy their skills for common good, and professionals within the social impact space who are better equipped to identify how tech can help them advance their social missions. As the organisers say, ‘the costs of hackathons is low, [but] the value of resulting projects, partnerships and knowledge is significant – particularly for social impact organisations that struggle to achieve their goals with limited resources and technical support.’ Bearing this out, many of the products are standing up – early outcomes that are still deployed include CHASM, Open Street Map Tasking Manager, Caritas Disaster Mapping and Bushfire Connect. More recent successes include Sheltr, WaterVoices, AdHawk and FourTeachersProject. All code developed at the events is released open source.